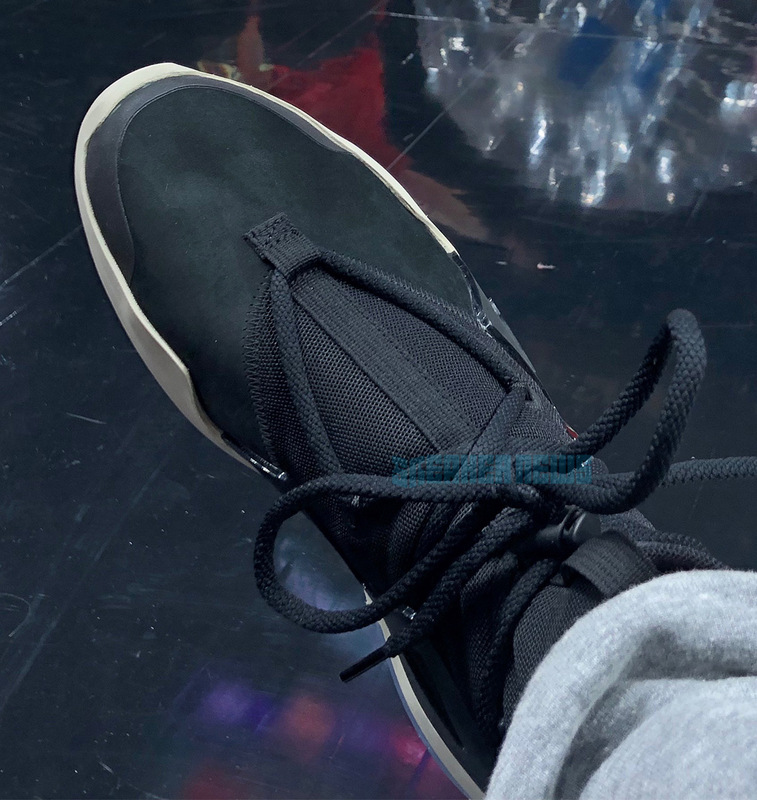 Spotted courtside at the Lakers/Blazers game in Portland was Jerry Lorenzo of Fear Of God, a name you will certainly here a lot more of as we await the debut of his collaborative sneaker with Nike. For this season opener, Lorenzo wore a never-before-seen black/white colorway of his sneaker boot design called the Air Fear Of God 1; co-designed with Nike design director Leo Chang, the Air Fear Of God 1 it features a broad lacing structure, an Air 180-inspired visible bubble towards the heel, and a classic pivot-point traction pattern that ripples outward throughout the entire sole. This closer look also reveals an exterior toe-cap, a ribbon sewn into the in-step, and loop pull-tabs with a lace-lock, while Nike Air and Fear Of God branding can be found on the heel. Release information has not yet been revealed, but check out a closer on-foot look at Jerry’s Nike Fear Of God shoes. 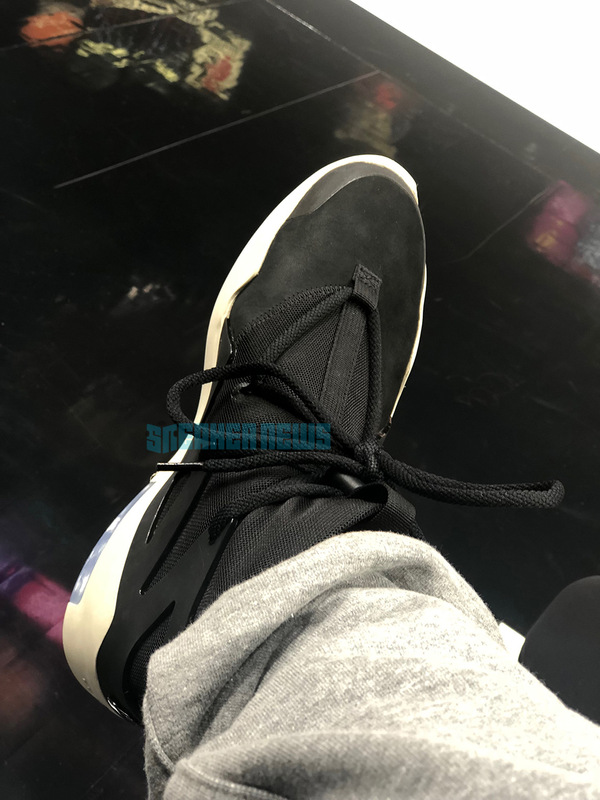 The post Jerry Lorenzo’s Nike Fear Of God Shoes Revealed In Black appeared first on Sneaker News.